Has spoken to hundreds of groups and conducted over 100 workshops for Ohio businesses and organizations. Author of the books, “The Call to Authenticity”, “Embracing Rebellion”, “How to Create a World Class Company”, and “Success Strategies”. B.S. in Agricultural Business from The Ohio State University. Masters in Business Administration from Capital University in Columbus, OH. Ph.D., in Counseling Psychology from The Ohio State University. Member of National Speaker’s Association of Ohio. Dale Carnegie public speaking course graduate. 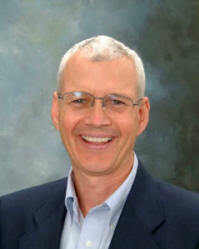 Dr. Anderson received his Bachelor of Science in agriculture from Ohio State University in 1980. From 1980 until 1994 he held several management positions in the agriculture and retail industries. During this time, he obtained his Masters in Business Administration from Capital University in Columbus, Ohio. In 1999 he obtained a Ph.D. in psychology at Ohio State University. Since 2000 he has run his company, Integrated Leadership Systems. ILS has offices in Los Angeles and Columbus, Ohio and has provides leadership development services for hundreds of companies all over North America. ILS has done consulting for many nationally recognized companies including Sunoco, McGraw Hill, Honda, Nationwide, Ohio State University, Husky Energy, Irving Oil, OhioHealth, and Worthington Industries. Presently, Dr. Anderson is on the board of directors of The Nature Conservancy and is pursuing a Masters Degree in Environmental Science. Dr. Anderson is the author of four books about leadership.